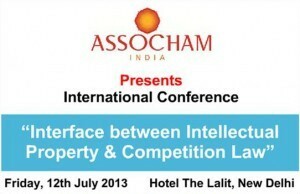 Assocham India Presents, International Conference on Interface Between Intellectual Property & Competition Law. Mr. Percy Billimoria, Senior Partner, AZB & Partners. Compulsory licensing and its implications in Indian market. Registration Fee: Rs 4000 per delegate. Previous ArticleInternational Human Rights: Assault on Sovereignty of State?